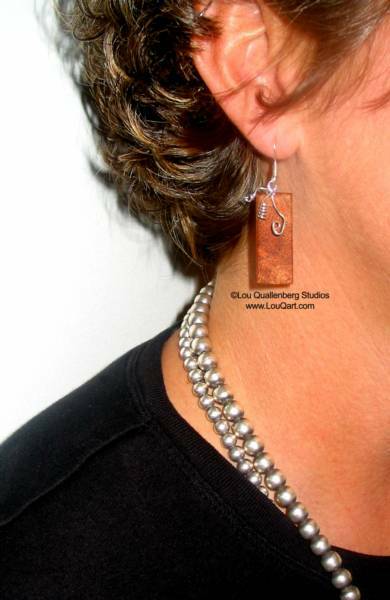 We first started producing Mesquite Earrings when Tiffany Smith of Dallas saw some wood and silver earrings at a local gallery and wanted a pair. Cheryl said "We can do that and in Mesquite!" That began the quest for fine sterling silver wire and accessories. It also gave Cheryl an appreciation for the work and patience required to create the finish Lou uses on his mesquite furniture. Our jewelry is one of a kind and handmade with hours and hours of sanding involved. There may be distinct variations in the same pair of earrings or set of jewelry. Mesquite is not an easy wood to work with but in the end the effort does pay off. 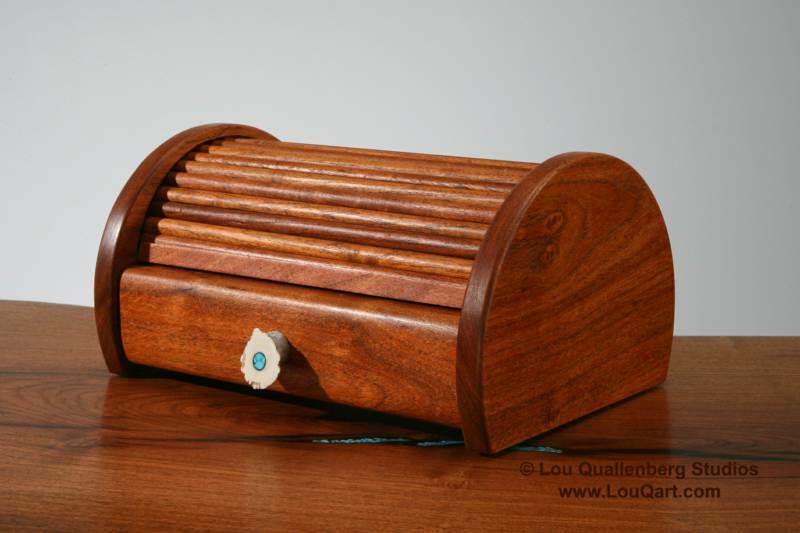 How about a Mesquite Jewelry Box to go with that pair of earrings?